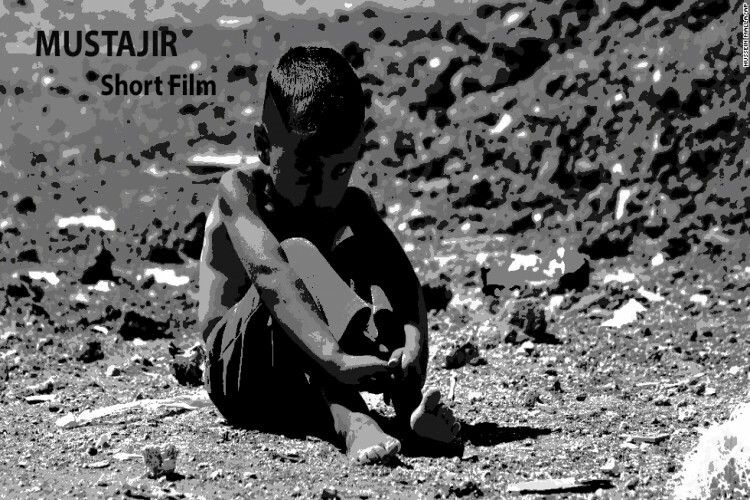 Mustajir is a short film about how terrorism is affecting our society snd destroying the culture, peace and faith in religion from our society. This short film is based on a fictional story of a family living in the area which is affected by terrorism and everyone is terrified because of the circumstances and after bearing all kind of molestation and harassment they don’t forget the lessons of humanity . This short film shows how terrorism is vanishing all the innocent people and killing them in the name of the religion. This short film also shows that no religion teach us to kill people. Through this, our audience will experience how people are surviving in those kind of conditions. In the end what you will do, either you take revenge from society or follow or follow humanity. As we are young film makers, our thoughts are different than traditional film makers. We are enthusiastic, we know how to picturiase a story. We belive this short film is going to achieve many appreciations but we are students we do not have sufficient budget to transform this written story in to a film. We will be blessed if we get your support. Your share could be as good as a donation for Shivam Rattan! Not everyone can afford to take care of their loved ones. Shivam Rattan's life can only be saved by donations made by kind people like you.